Sub-brow lift rejuvenates the sagging eyelids to younger appearing eyes. This method is especially useful for older patients who have their brows at normal positions but lost elasticity in the eyelid muscle or patients with thick upper eyelid skin regardless of the age. The satisfaction rate is exceptionally high for this surgery. 1 Why A Sub-brow Lift? Most Asian patients have thick eyelid skin and underlying eyelid components underneath the brows that will descend over time. This phenomenon occurs mostly in their 30’s, but it can start as early as late 20’s in some patients, where the skin stretches with time and eyelids cover a portion of one’s eyes. 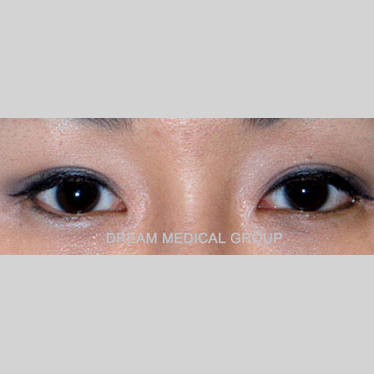 Patients often undergo sub-brow lift simultaneously with double eyelid surgery for dramatic improvements. 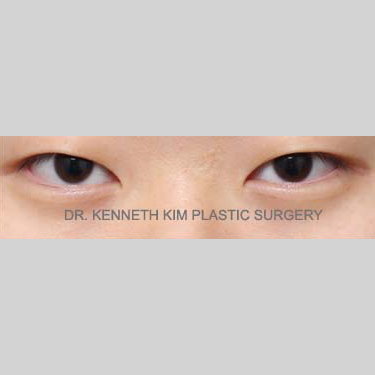 Moreover, patients with double eyelids that were covered by the sagging eyelid will benefit from this procedure, as the surgery will reveal their double eyelid. This surgery is advantageous in that there is precise control of how much eyelid is lifted and how much crease will be shown. As the skin and muscle underneath the brow lines are lifted, eyelid skin appears less puffy and smooth. 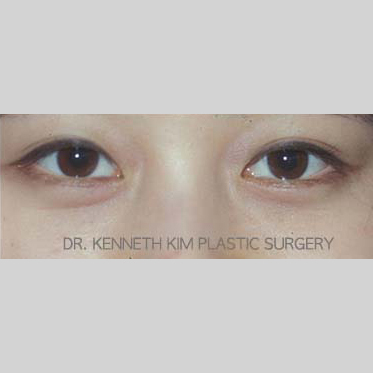 Patients can resort to double eyelid surgery for correcting sagging eyelids. 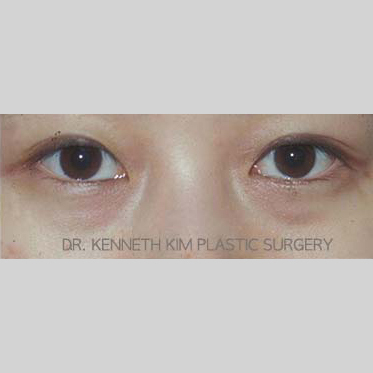 However, there are patients who may have already undergone double eyelid surgery and desire another approach to enhance their eyelid functionality and appearance. Depending on the severity of the sagging, presence of double eyelid, and thickness of eyelid, a surgeon will consider a brow lift as the most suitable surgery for the patient. It is imperative that a surgeon must examine the patient in order to determine the location and the cause of the sagging. There are two methods for brow lift: sub brow lift and forehead lift (otherwise conventionally known as brow lift). For patients with eyebrows at the normal position, a sub-brow lift will be the more adequate method to correct sagging eyelid. This method is especially useful for older patients who have lost elasticity in the eyelid muscle or patients with thick upper eyelid skin regardless of the age. 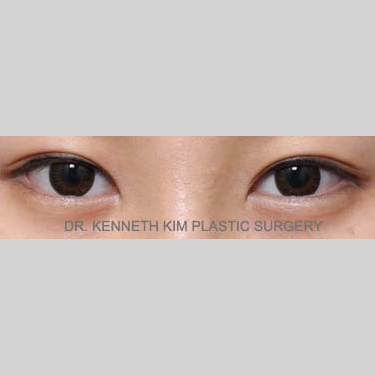 Older patients with double eyelids that are covered by the sagging eyelids will benefit from this procedure, as the surgery will reveal their double eyelid. This procedure requires an incision just below the eyebrows, and minimal-tension, meticulous suturing technique is applied so that the remaining scar is less visible. This surgery is advantageous in that there is precise control of how much eyelid is lifted and how much crease will be shown. When sagging occurs at the brow region, the most effective method would be a forehead lift. A forehead lift requires an incision on the scalp and repositioning the skin and muscle of the forehead and brows. As the forehead region is pulled upward, not only does it correct sagging eyelids but it also clears wrinkles on the forehead. Even though this procedure requires an incision on the skin, the incision is made on the scalp which leaves minimal scarring. One of the common mistakes of a forehead lift is that the sensory nerves are injured during the procedure. It is important to understand the sensory innovation of the scalp, so there is minimal sensory deficit after surgery. Patients with high eyebrow position are not the best candidates for a forehead lift in correcting sagging eyelids. This surgery will over-elevate the brow position causing them to have a surprised appearance. A forehead lift is an effective and powerful procedure that not only lifts the entire forehead but also improves the creases above the bridge of the nose for older patients. The wrinkles on the outer sides of the eyes are also improved when the entire forehead is lifted. In addition, the frowning muscle/corrugator muscle can also be removed at the same time. Thus, this procedure is comprehensive and highly effective in taking away the heaviness of the eyelids. This procedure requires an incision just below the eyebrows, and minimal-tension, meticulous suturing technique is applied that the remaining scar is less visible. However, patients who are concerned about incision lines may apply brow makeup or brow tattoo for more natural-appearing results. The surgery takes place under local anesthesia, with or without oral sedatives. The duration of the surgery is 45 minutes. The skin stitches will be removed 4-6 days after the surgery at our office. Sub-brow lift will not cause large swelling. The critical swelling will subside in 1 week. Any bruises or remaining swelling will disappear in 3 to 8 weeks.